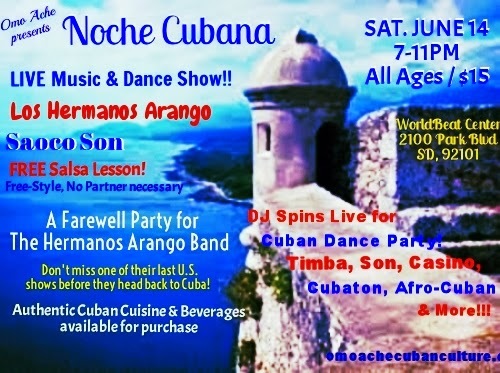 CURUYE's DANCE PARTY 'A LO CUBANO' is HAPPENIN' SUNDAY, JULY 6! 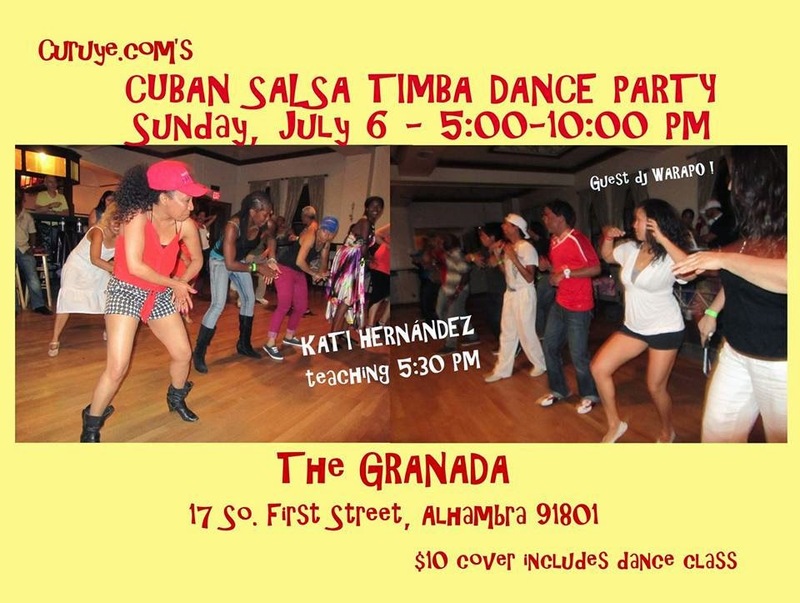 COME GET YOUR CUBAN DANCE GROOVE ON! CUBAN SALSA! TIMBA! REGGAETÓN! DEEJAY WARAPO will be guesting and making sure we're dancing all night! WE'LL BE DANCING SON-CASINO (CUBAN SALSA)-RUEDA de CASINO-RUMBA-CUBATÓN! KATI HERNÁNDEZ will get us warmed up and in the groove with a FUNKY AFRO TIMBA DANCE CLASS at 5:30 PM, and throughout the night her PA' LA ORILLA DANCERS, hot from performing at The SALSATLANTA CUBAN FEST, will be leading us in some fun CUBATÓN LINES! The Granada's Chef Israel has a varied menu that offers everything from salads and sandwiches to a new roasted pork w black beans dish! SPREAD THE WORD & PLEASE BRING YOUR FRIENDS TO JOIN IN ON THE FUN! Free 4-hr parking in structure across from the Granada. SAVE THE DATE EVERYONE! SAT. JULY 19TH!! We will back on the cardboard dancing to our beloved timba music. 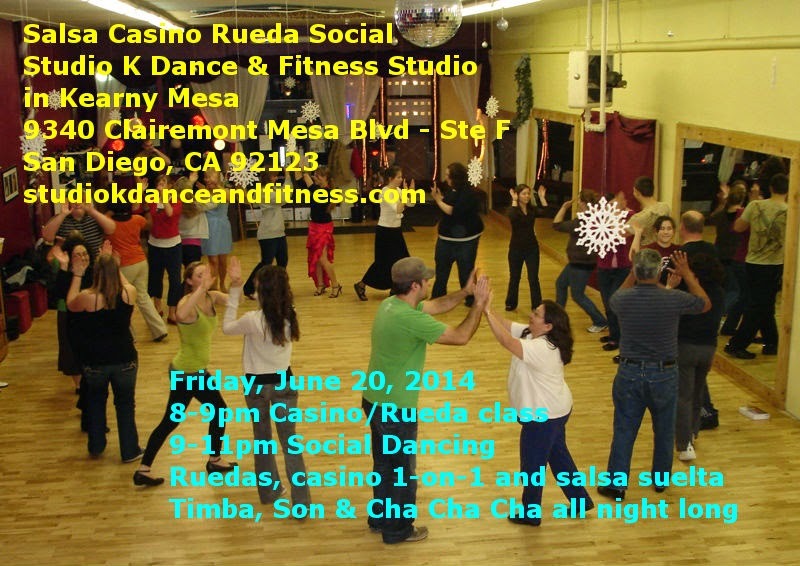 Come join the salsa suelta line dances and a lot of rueda de casino. THREE people to help me unload the floor and tape it up at 4:30pm. I'll meet you at the La Jolla Shores Park Parking Lot. it will be crowded so plan your time to get there and find parking. More details to come! Come try out something new. 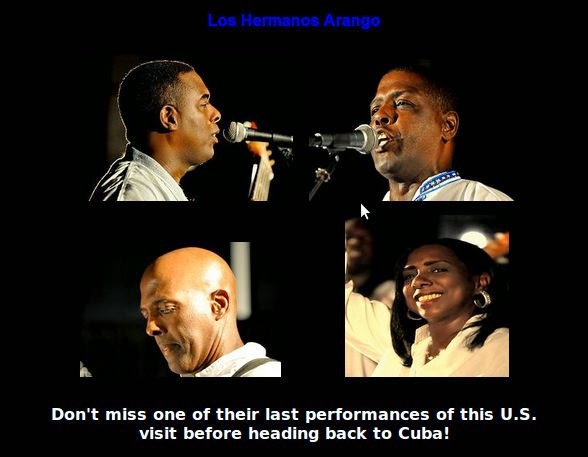 Unfortunately, there won't be timba, BUT there will be AfroLatin house - AfroCuban music fused with house PLUS an AfroCubanDance Performance by Los Hermanos Ceides. Also showcasing music from Africa that is all the rage right now in Uganda, Rwanda, etc. The music sounds like Reggaeton but has a different feel. I have seen the music videos of the kind of music they will showcase. It's FUN!! Here is a video of the music from Eddy Kendo called Sitya Loss. Love this song. It's a chance to practice your despelote and tembleque moves. Give it a try. It will be something to do this Friday! Ayi'nama! People are asking what to do this weekend. Are YOU Ruedy???? ¡A Gozar! Come join us in the beautiful Centennial Regional Park for Rueda de Casino! 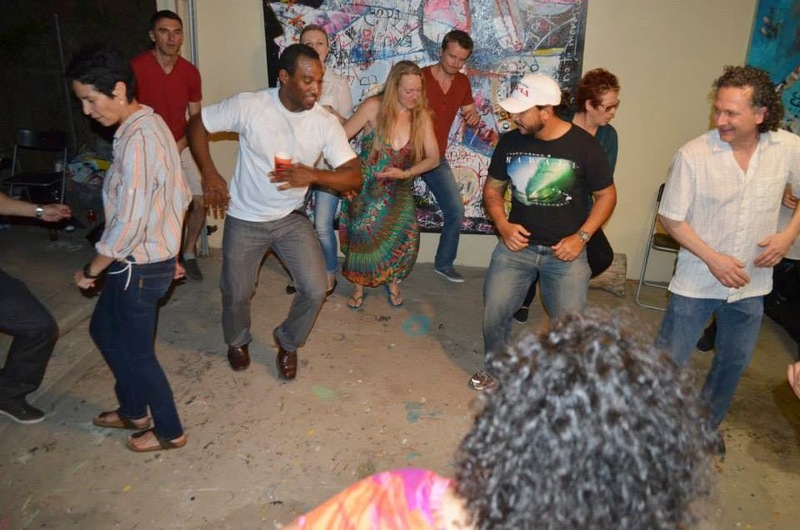 Enjoy the scenery, the music and the fun as you learn this Cuban social dance. Learn the fundamental basic elements, lots of variations and the combinations that make up “Rueda de Casino". Our next class will be Saturday, June 28th. Beginner level starts at 11:30am and Intermediate level starts at 12:30pm. Suggested donation of $5/person. COST: $25/per person; Use CURUYE as the promo code when purchasing tix online, and save yourself the service charge! 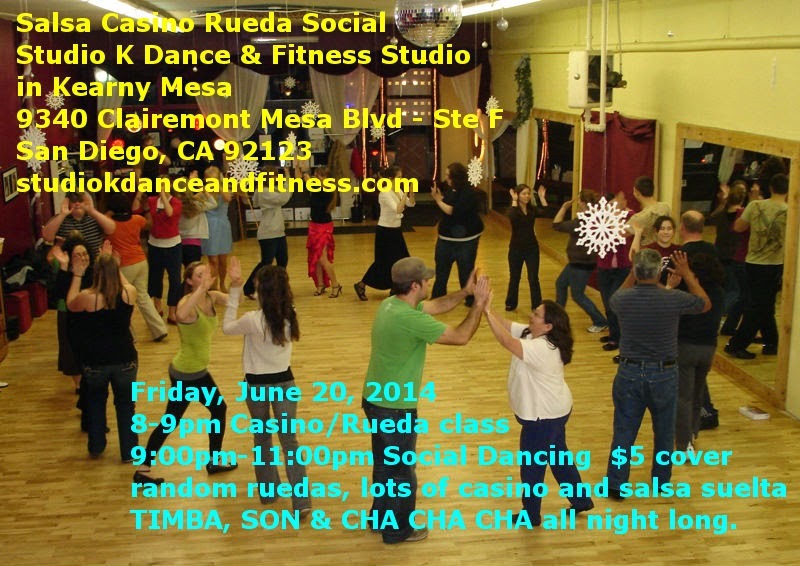 From the organizer who brought you Casino on Cardboard each month, there will be another once a month opportunity to dance casino, make some new friends, reunite with old friends and learn some cool rueda and casino moves plus bust out with salsa suelta (line-dancing Cuban salsa). COST: $5 at the door; Please bring cash. NOCHE CUBANA Presents. . .
"FAREWELL PARTY FOR THE ARANGO BROTHERS' BAND"
"FIESTA DE DESPEDIDA PARA LOS HERMANOS ARANGO"